Shiny black encroaches on a clear blue-green glass stone with copper patina, like a strange little gem embedded in rock. I gave the black a dimpled texture to contrast with the smooth center. This pendant is part of a series to explore texture. 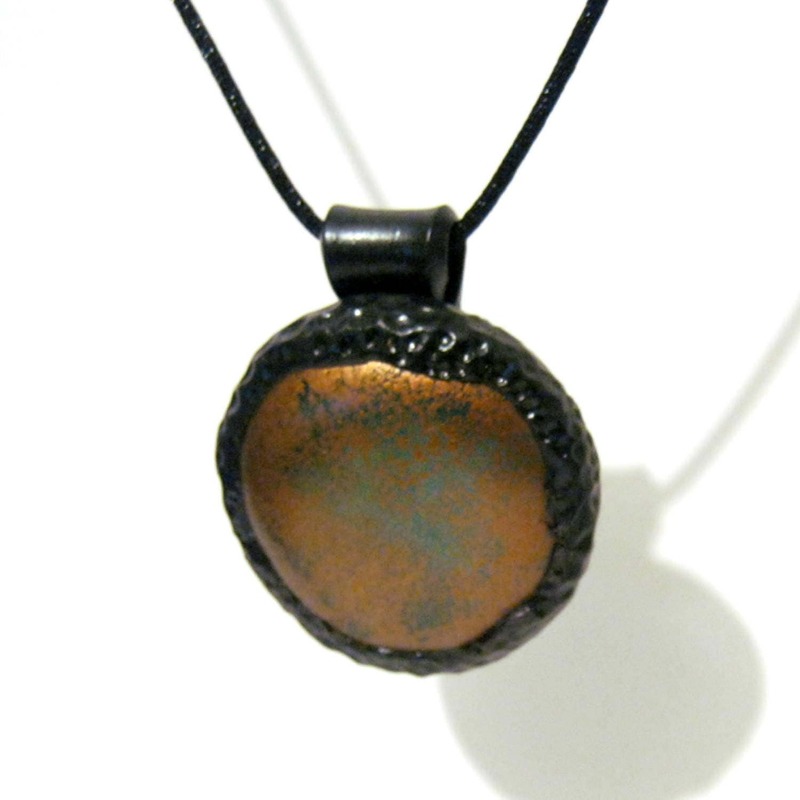 Pendant measures 2 inches high by 1.5 inches wide. If you prefer a length other than 20", please let me know in the Notes to Seller. Care Instructions: While this pendant does have a sealer applied, DO NOT wear it in water. Thank you.